Tips and Tricks For Creating A Fiercely Independent Affiliate Marketing Income! My name is Claudia Blanton aka Miss Fiercely Independent, and I will be your guide to creating your own affiliate marketing business - whether you are just looking for a side hustle, or are interested in creating a full time business and income, independent from the day to day struggle, fiercely free to manage your time, and energy the way you see fit! I am looking forward to assisting you on your way to become more fiercely independent! 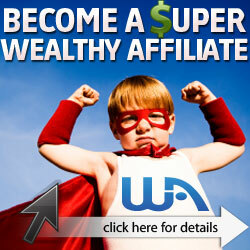 Proud Member of Wealthy Affiliate!